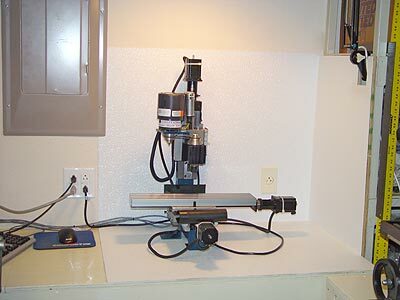 The Hobbyist's Machine Shop – Blog – Page 62 – "One Perfect Part at a Time"
Last night I had time to sit at my computer and work with Rhinoceros and RhinoCAM. Weird names but Rhino is a 3-D CAD program and the other converts drawings to CNC code. Many months ago I designed a perfect drawing of the A3 locomotive driver and is one of the “driving” reasons for me to set the Micro CNC mill into operation. I ran my first output code on a wood block last Sunday and it was a disaster! The mill ran fine but the cutting was awful. I got the backboard installed today. The afternoon was bright and sunny and the temp was cool. Somewhere in the 80’s. Just right for working in the shop. The white material is available a Lowe’s. It seems to me mostly a plastic but somewhat like Linoleum. I was able to cut it with large sheet metal shears. It is attached with liquid nails. The corners are caulked. The material has a pebbly but shiny surface. I spent most of the late morning and early afternoon today getting the bits and pieces working again for the Taig Micro-Mill CNC setup. 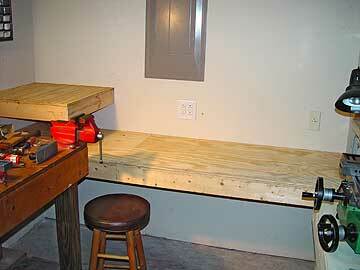 The configuration layout has changed since I built a new bench in a new location in the workshop. I also fiddled quite a bit with the electrical and software set-up. It is at a point where it can again do some CNC work.